June started with a farmer's market, fresh posies, delicious homemade pies and a couple of fairy cakes. This is a new thing in Southampton and it makes for a great morning with family somewhere super local. Arran and I celebrated six years together! Mum babysat so we could go on a date night which was lovely and exactly what we needed. I spent my first night away from Joshua! Room2 has recently opened in Southampton and I was invited to the launch event and to spend the night in the Hometel. Hello 8 hours sleep! I took Joshua to go and have a look at a nursery. We've been looking at The Mulberry Bush Nursery in Southampton and we're heading back today for their second opening day. Joshua turned eight months old - Baby Spake is Eight Months Old. June has been the month for cruise ship visits! I headed on-board Holland America Line Ms. Zuiderdam for a tour, demonstration at America Test Kitchen and dinner in a pop up seafood restaurant. I came rolling off that ship but it was worth every mouthful. 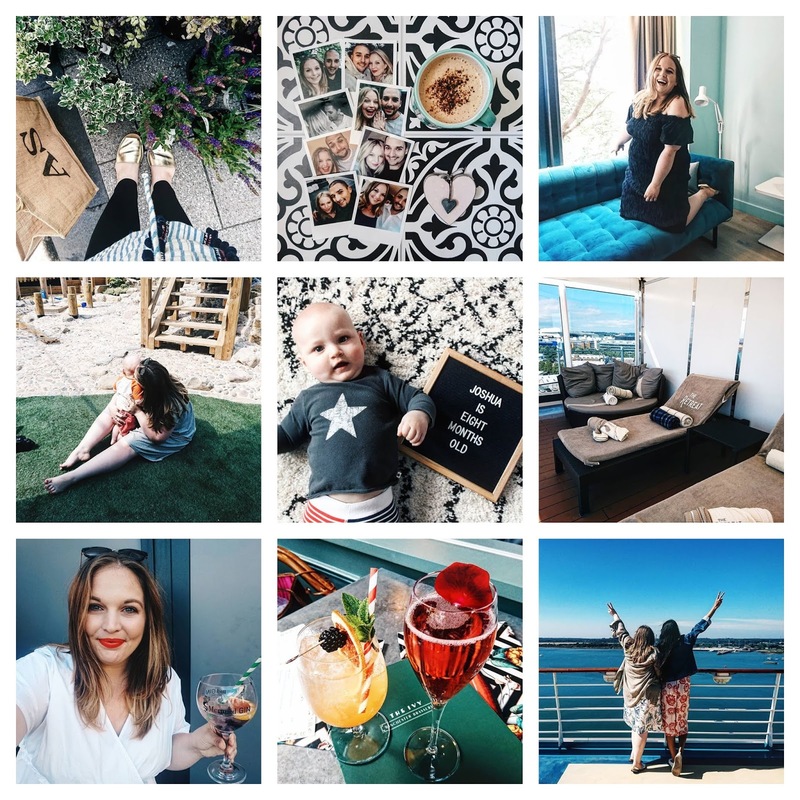 I finally made my way to HarBAR on 6th's roof terrace at Southampton Harbour Hotel for a night of pizza and gin with some fab blogging babes. My bestie and I headed to The Ivy in Winchester for dinner. Let's just say we loved the cocktails! June ended on another cruise ship, this time it was Independence of the Seas. We toured the decks ourselves, had a steak lunch and spent time in the pools which was ideal in the 28 degree heat. June has been a fabulous month and July is looking to be just as exciting! How did your June go? I really love these recap posts. You’ve had such a great month with some exciting events. The cruise ships looked amazing! Looks like June was a cracker of a month!!! I was telling jake all about your hometel stay - mega jel! I love the lipstick you have on at HarBAR!